A long standby time GPS tracker for vehicle helps you to track your vehicle location,speed and moving route anytime. Just log on your phone or website to see where your car is whenever you want. Needn't to cut your automobile wires. Keep a eye on your kids, parents. Especially ideal for families who is keen on travelling and outdoor activities like hiking, camping, road trip. Voice surveillance function help you hear what is happening around the tracking device. 1.GT001 power on by inserting SIM card，power off by removing SIM card. 2.LED light indicator, clearly know GPS tracker's working status. 3.If the SIM card out of phone company network coverage or it is at peak time, it may not be able to send back the response, please try again later. 4.GT001 Tracker GSM 2G NETWORK ONLY. ☛ ULTRA-LONG WORKING TIME: 3300ma extra-long battery life with over 2 weeks continuous working time and 180 days standby time. Low power alarm by ABLEGIRD APP. ☛ NO INSTALLATION: Small and portable design, move your GT-001 GPS tracker instantly from car to car, needn't to cut your automobile wires. Ideal to be put into backpacks and carry around. ☛ GLOBAL GPS RAPID PRECISE POSITIONING: The adoption of global leading GPS technology newest GPS chip: UBLOX G7020 provides strong signal, high sensibility. Through MSM/Web/ABLEGRID app, it is easy to get GPS tracker's location at any time anywhere. ☛ REAL TIME GOOGLE MAP: Supports Real Time Auto Tracking and Historical Moving Route Record. ☛ LIFE TIME WARRANTY: 100% Life Time Warranty. 24 Hours Customer Service. 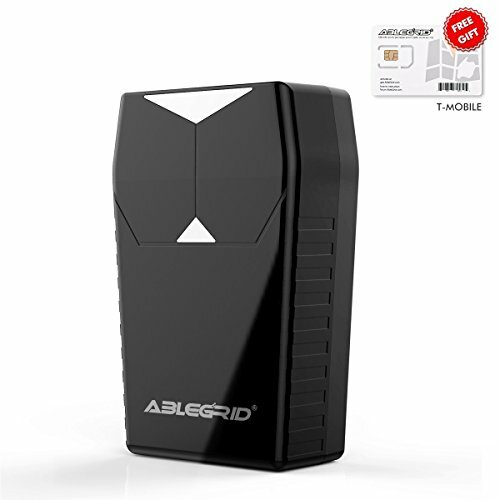 Bid Our GT001 GPS Tracker With Confidence!!! Monthly Fee Charged As Shown In The Photo. No Activation Or Cancellation Fees. Various Plans And Subscriptions Can Be Chosen. Pay Month By Month, Term By Term, Never Auto Renew.